Details of our past keynote speakers; who they were, and why we invited them to speak to our delegates. 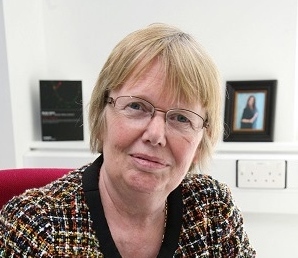 Barbara Band is an award-winning Chartered librarian with over twenty five years’ experience of delivering customer focused services within the education sector, with a range of project management and promotional skills gained in commercial and non-profit organisations. Having worked in a range of schools, she is now a freelance consultant providing training and advice to librarians, teachers and literacy organisations; is involved in creating and refurbishing libraries to meet user needs; and publishes regularly on reading, library and literacy issues. In addition to her own blog, she guest blogs for education journals and has authored several publications for the School Library Association. Barbara received the inaugural School Library Association Founder’s award in 2014 for her outstanding contribution to school librarianship, was made an Honorary Member of the CILIP Youth Libraries Group in 2014, and was on the School Librarian of the Year Honour’s List in 2009. She has been on selection panels for the Booktrust Teenage Award, School Libraries Pack and Bookbuzz schemes as well as the Roald Dahl Funny Prize. 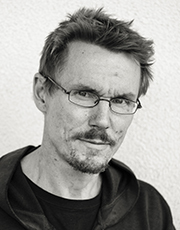 Ola Pilerot, senior lecturer at the Swedish School of Library and Information Science (SSLIS), University of Borås, teaches and publishes within the field of information practices and information literacies. Pilerot is also regional editor (Western Europe) of the journal Information Research, and a member of the Information practices research group at SSLIS. Before joining SSLIS, Pilerot was deputy library director at Skövde University College. His main area of research interest concerns information literacies in academia and scholarly information practices. Since 2015, a great part of his research work has centred on issues related to information practices of refugees and immigrants, in particular on public libraries’ work for newly arrived immigrants. Pilerot has published widely in, for example, Journal of Documentation, Information Research, Journal of the Association for Information Science and Technology, Journal of Librarianship and Information Science, and Library Trends. 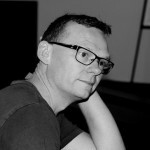 David is Head of Digital Learning at the University of the Arts London, the largest creative arts university in Europe. He started out at the University of the West of England and the BBC followed by a stint at Oxford, so he has a good understanding of a range of education institutions. David explores the intersections between digital learning, creative practices and critical thinking. He is best known for his Visitors and Residents idea which is used the worldwide to visualise and research digital engagement. He has also been involved in national and international studies exploring the use of digital in higher education. Through this work David has developed long and lively relationship with Libraries, especially around their changing role in the digital era. David is at home blogging, tweeting or creating videos – working in an open manner in online spaces. For David the digital is much more than a set of tools or a chaotic library, it’s a place where we can learn and live. Barbara is an independent consultant and current projects include: completing a book titled No-Nonsense Guide to Project Management for Library and Information Professionals for Facet Publishing; assessment of HEA Principal Fellowship applications; business school accreditations; and delivering workshops on themes such as supporting student learning, developing blended learning, and internationalisation in business schools. Barbara’s experience is in further and higher education, and particularly business schools where she focused on enhancing learning and teaching, the student experience, and the internationalization and employability agendas. Her qualifications include a doctorate in education on the topic of e-mentoring and women into leadership. Earlier in her career, she worked as a librarian and information professional, and managed workplace and academic libraries. Previous publications with Facet Publishing include: Blended Learning (2007), Supporting Research Students (2009), The No-Nonsense Guide to Training in Libraries (2013), and Emerging Strategies for Supporting Student Learning (2016). In 2015/16 Barbara developed an online learning resource, Teaching Large Groups, for CILIP. 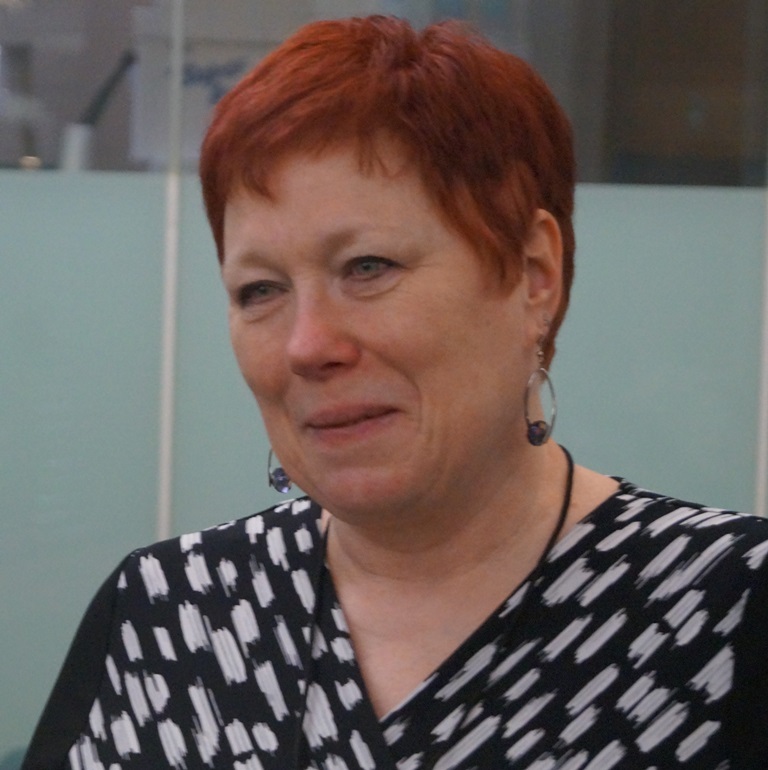 Barbara is a National Teaching Fellow, a Principal Fellow of the HEA, and a Member of CILIP. Josie Fraser is a Social and Educational Technologist who has worked across education sectors, with governments, commercial service providers and not for profit organisations, developing innovative and effective practice in the use of technology to support learning and teaching. She has long promoted the use of social technologies and networks within education, including convening the International Edubloggers Awards for several years. She has worked on behalf of Childnet International for both Labour and Conservative Governments to deliver UK cyberbullying guidance. Her work developing digital literacy for educators and educational institution has been recognised internationally. 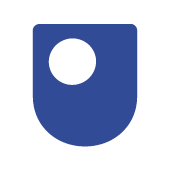 Her pioneering work in relation to copyright and open educational resources saw Leicester City Council become the first local government in Europe to provide permission to school staff to openly licence their learning materials, alongside copyright and OER support and training. Since 2015 she has served as a board member of Wikimedia UK, a charity dedicated to supporting access to knowledge for all, promoting engagement with Wikimedia projects, including Wikipedia, Wiki Data, and the Wikimedia Commons. 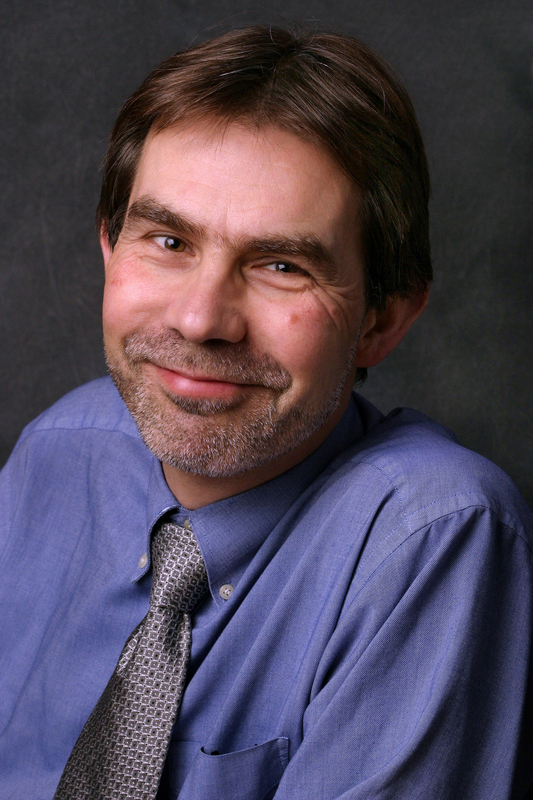 Alan Carbery is the Associate Library Director in Champlain College in Vermont, USA, and is responsible for all instructional outreach initiatives through the library, as well as the College’s award-winning, blended program of information literacy instruction. This program reaches every single undergraduate student seven times throughout their undergraduate studies. Prior to moving to the US, Alan worked in a number of academic and special libraries in Ireland. Alan’s work has focused on information literacy instruction through problem and inquiry-based learning. He’s developed a longitudinal model of meaningful, rubric-based assessment of student learning in information literacy. He’s concerned with reflective practice; how librarians identify and develop as teachers, taking a strengths-based approach to leadership, and most recently in how critical pedagogy and social justice influence our profession. Alan is currently assisting towards the publication of a forthcoming whitepaper on Global Perspectives on information literacy with ACRL’s Student Learning & Information Literacy committee. He also serves on the editorial board of College & Research Libraries. Alan is the Chair-elect/Vice-Chair of ACRL’s Value of Academic Libraries Committee. During his term as chair in 2017 and 2018, he will lead ACRL’s initiatives in promoting ACRL’s forthcoming action-oriented research agenda with OCLC on library contributions to student learning and success. Alan’s main pastime is taking far too many photos of beautiful Vermont scenery. 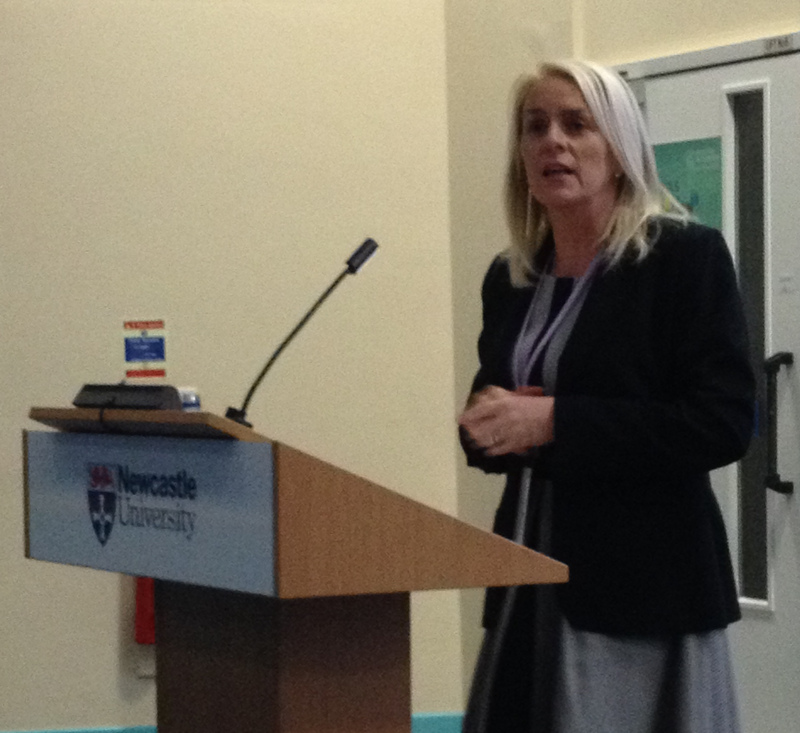 Professor Nicola Whitton is based at the Education and Social Research Institute at Manchester Metropolitan University. Her research focuses on digital innovation in learning and teaching and, in particular, games and learning in the context of Higher Education. Her research interests include interaction design, the impact of motivation and engagement, active learning design, and the pedagogy of play. 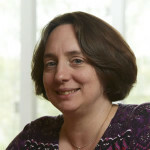 She has led research projects in gaming for older adults, collaborative game building as a learning approach, alternate reality games for student induction and information literacy, and her most recent project investigates the impact of game-based neuroscience-informed pedagogy on science learning. Her first book, Learning with Digital Games, based on her PhD thesis, was published in 2010, and her more recent book, Digital Games and Learning: Research and Theory (2014), has received considerable international attention. 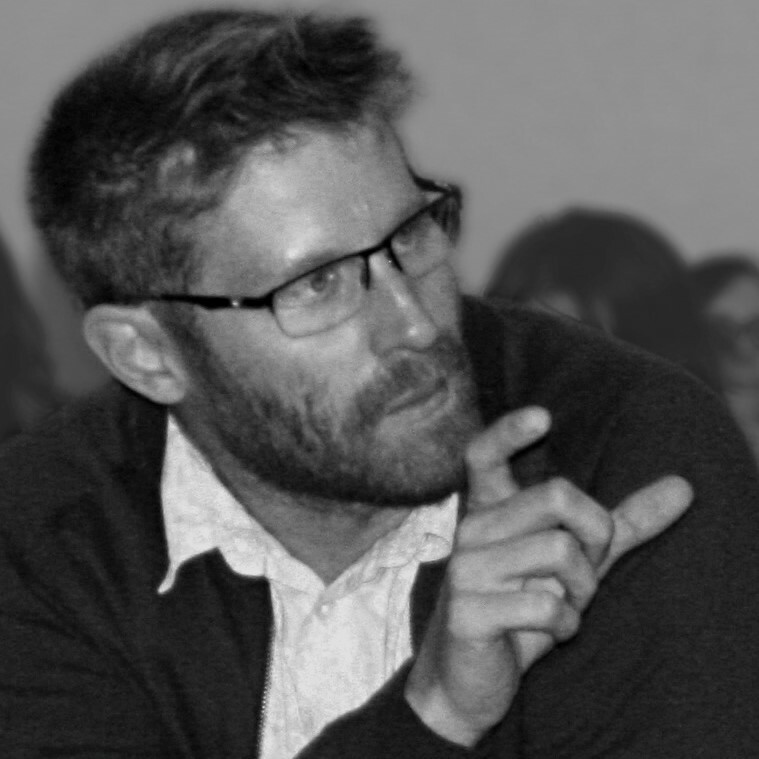 Alex is a National Teaching Fellow, and an Educational Designer and University Teaching Fellow at the University of Leicester, where he has had long experience as both practitioner and researcher of course design and development for higher education. He has particular interests in online and distance education, student engagement, and provision of effective research skills and student induction. His principal research area is in games based learning; he recently co-authored Using Games to Enhance Teaching and Learning (Routledge, 2012) and New Traditional Games for Learning: A Case Book (Routledge, 2013) and has suggested key features of online immersive games which can be transferred to higher education to ensure high engagement and community development. 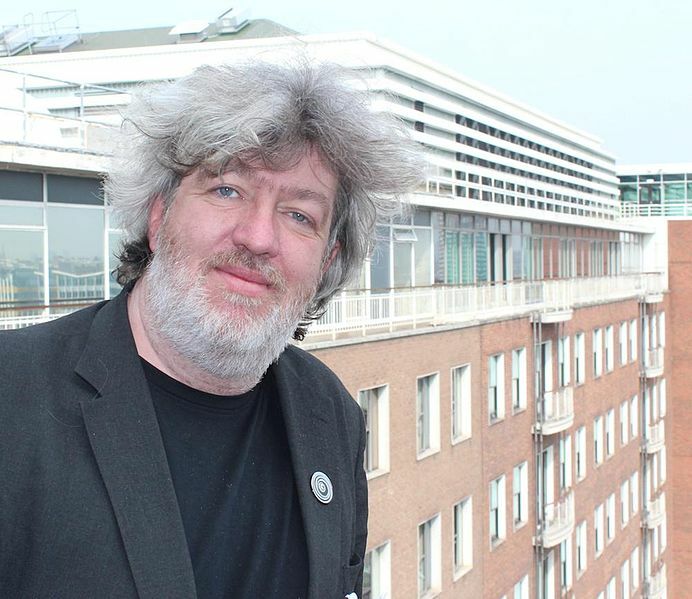 He was part of the team behind the first charity Alternative Reality Game, Operation: Sleeper Cell, co-chairs the Association for Learning Technology special interest group on Games and Learning, and co-organises the Let’s Change the Game cross-sector conference. 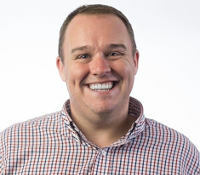 James Clay is currently on a 12 month contract with Jisc as their project manager for the building digital capability R&D project. James has worked in the further education (FE) sector since 1993 (as well as a short time in the museum sector) and has extensive experience in the use of technology to enhance and enrich learning. He has been a teacher, a project director, an ILT manager, Learning Resources manager and an IT director. He has managed a range of projects over the years in various roles, including mobile learning, e-books, IT infrastructure, learner analytics, copyright, institutional resources, VLEs and student records. Early riser, devoted oceanite, and advocate of radical neutrality, Char Booth explores the integration of pedagogy, research, technology, and design in libraries. Char is Associate Dean of the Library at California State University San Marcos, the youngest campus in the CSU system with a strong focus on social justice and educating traditionally underrepresented learners. Char was previously the Director of Research, Teaching, and Learning Services at the Claremont Colleges Library, has held positions at the University of California at Berkeley and Ohio University. Char is a faculty member of the ACRL Information Literacy Immersion Institute, blogs periodically at info-mational, tweets infrequently @charbooth, and her publications include the Ilene F. Rockman Instruction Publication of the Year-winning Reflective Teaching, Effective Learning: Instructional Literacy for Library Educators (ALA Editions, 2011) and Informing Innovation: Tracking Student Interest in Emerging Library Technologies (ACRL, 2009). Julia has worked for the TUC unionlearn in a National role since 2009. Unionlearn assists and supports unions to develop partnership approaches to ensure they can make an effective contribution to workforce development as well as addressing individual learning needs. Because unions have a place of trust and confidence in the workplace they are well placed to reach those workplaces and groups of workers others find hard to reach. Partnerships with employers, providers and agencies are fundamental to this approach. The Union Learning Fund is managed and administered by unionlearn, under an agreement with the Department for Business, Innovation and Skills which Julia is responsible for and currently oversees a budget of £14 million. Julia’s most recent background is in Education and training, especially working with people from disadvantaged backgrounds. Tom was appointed Director of unionlearn – the education, learning and skills organisation of the TUC – in July 2009. Prior to that, Tom had been Head of the Organisation and Services Department at the Trades Union Congress (TUC) from July 2003. Tom was previously head of NATFHE’s Universities Department for five years, having before that been Head of Research and then Assistant General Secretary at the Association of University Teachers from 1988. His other experience includes two years in employment research, with Incomes Data Services (a publishing house specialising in employment publications), and then five years with the GMB (the UK’s fourth largest trade union). Tom was also the National Trade Union Liaison Officer for the Labour Party (1986 – 1988). Tom has an MA in Industrial Relations from Warwick University (1978-79) and a Diploma in Social Administration from York University. His first degree was in Philosophy from St Andrews University. In 1996 Tom gained a postgraduate Certificate in Employment Law from Middlesex University. A fellow of the Institute of Personnel and Development, the professional institute for management involved in personnel and staff development, Tom has written on unions, education and industrial relations for newspapers, magazines, campaigning organizations and academic publications. Barbara Fister has coordinated instruction at the Gustavus Adolphus College library in St. Peter, Minnesota, for over 25 years, but is still learning how to help students learn. She has studied students’ research processes, examined the relationship between writing and research, and has taught a course on how information works for students planning to go on to graduate education for nearly ten years. Another of her interests is the future of publishing. She has written widely on open access to scholarship, is participating in an exploration of publishing open access books through a library collaborative, has used PressBooks to publish an anthology of faculty writing, and is a founding editor of the new Journal of Creative Library Practice. Drawing these two interests together, she is exploring ways the library can support learning experiences that position students as creators of public knowledge. Popular literacy practices and the role of reading in everyday life is another thread of her work. Currently she is studying online reading communities and has been pleased to participate from afar with the AHRC-funded Digital Reading Network based at Bournemouth University. She also writes fiction, having published three mysteries. 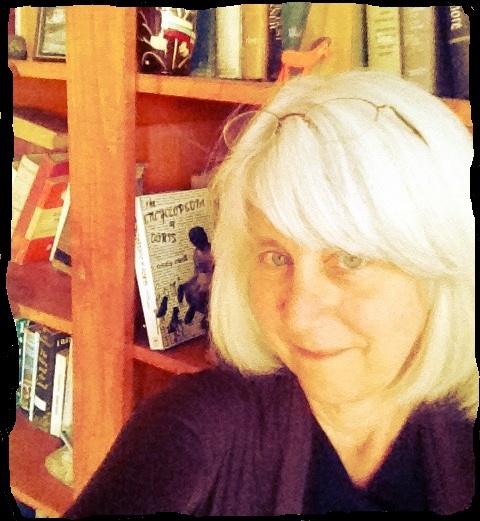 You can follow Barbara’s generalist tendencies on Twitter and through her regular posts for Library Journal’s Peer to Peer Review and her Library Babel Fish blog at Inside Higher Ed. Ray Land is Professor of Higher Education at Durham University and Director of Durham’s Centre for Academic Practice. He previously held similar positions at the Universities of Strathclyde, Coventry and Edinburgh. He has been a higher education consultant for the OECD and the European Commission and has recently been involved in two European Commission higher education projects in Europe and Latin America. He has published widely in the field of educational research, including works on educational development, learning technology and quality enhancement. He is best known for his theory (with Jan Meyer) of Threshold Concepts and Troublesome Knowledge. His latest book (with George Gordon) is Enhancing Quality in Higher Education: International Perspectives (Routledge 2013). Alison J. Head, Ph.D. is a Research Scientist in the University of Washington’s Information School and a Faculty Associate at the Berkman Center for Internet and Society at Harvard University. She is the founder and director of Project Information Literacy (PIL), an ongoing research study in the US that has investigated how college students conceptualize and operationalize research tasks for course work and “everyday life” use. Since 2008, Alison and her team of PIL researchers have interviewed and surveyed over 13,000 undergraduates at 57 US four-year public and private universities and colleges and two-year community colleges. In 2013, Library Journal named PIL one of the “Big Four Research Studies” about library users. Alison’s research about college students has resulted in seven open-access PIL research reports and five peer-reviewed journal articles. Five of these reports were co-authored with Michael B. Eisenberg, co-founder with the “Big6” information literacy model and Dean Emeritus and Professor at the University of Washington’s Information School. PIL has also produced learning tools (e.g., videos, infographics, podcasts, “Smart Talk” interviews, and “Practical PIL” page showcasing innovative library projects) that have stimulated awareness of and engagement in PIL’s highly visible research activities. Articles about PIL have appeared in The Atlantic Magazine, The Huffington Post, The Chronicle of Higher Education, Education Week, Inside Higher Education, Library Journal, and The Seattle Times. In 2012, PIL launched “The PIL Passage Studies,” a unique series of in-depth investigations about young adults and the critical information transitions they experience in their lives. PIL released its first Passage Study about the information-seeking behavior of college graduates entering the workplace. In 2013, PIL’s followed this study with its research on about how high school students make the information transition to college. 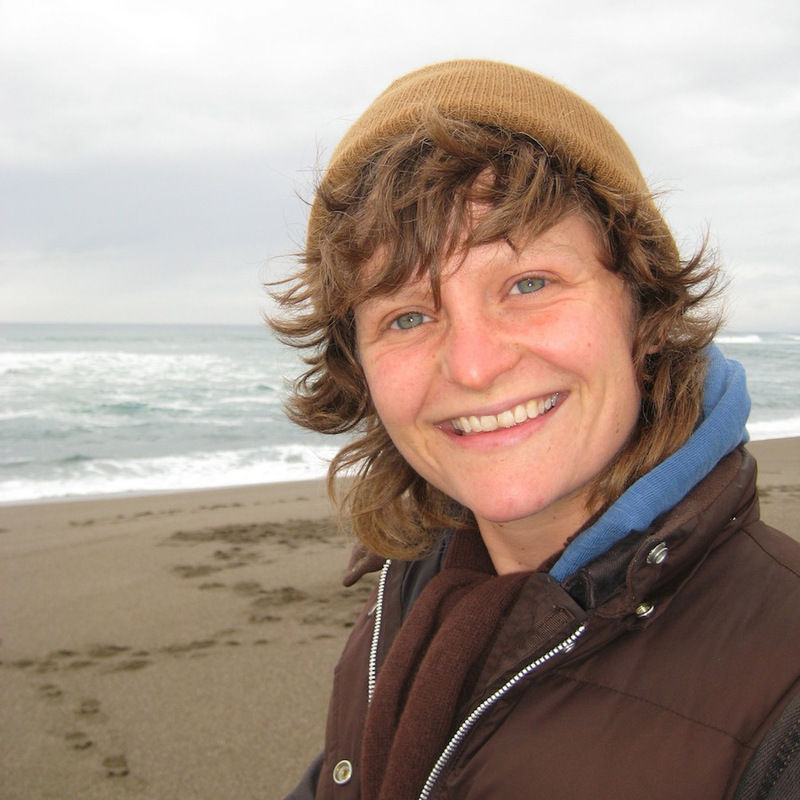 Alison has a Ph.D. in library and information science from the University of California at Berkeley and was a Visiting Scholar in Symbolic Systems at Stanford University. Her research on today’s students and their information practices began with a small study at Saint Mary’s College of California, where she taught new media as the Roy O. Disney Visiting Professor in New Media for 10 years. Currently, Alison is leading a large-scale national study about lifelong learning and recent college graduates. This two-year study is being conducted in partnership with the Information School at the University of Washington and has been funded by a National Leadership Grant from the Institute of Museum and Library Services (IMLS), a federal agency creating strong libraries and museums that connect people to information and ideas. More about Dr. Head’s research and PIL is available at: http://projectinfolit.org/. Bill Thompson has been working in, on and around the Internet since 1984 and spends his time thinking, writing and speaking about the ways digital technologies are changing our world. 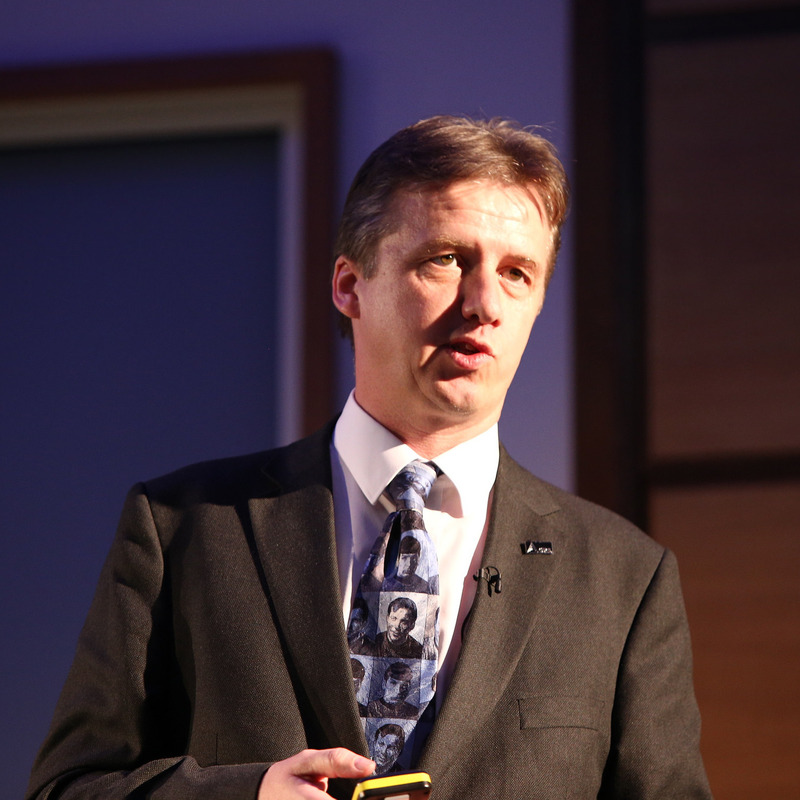 A well-known technology journalist, he is Head of Partnership Development in the BBC’s Archive Development Group, building relationships with museums, galleries and other institutions around ways to make archive material more accessible, and a Visiting Professor at the Royal College of Art. Bill appears weekly on Click on BBC World Service radio, writes a monthly column for Focus magazine and is an advisor to a range of arts and cultural organisations on their digital strategies. He is a member of the board of Writers’ Centre Norwich and of the Collections Trust, and was for many years a Trustee of the Cambridge Film Trust. He built and manages the Working for an MP website. During the 1990’s Bill was Internet Ambassador for PIPEX, the UK’s first commercial ISP where he developed websites for Comic Relief, the Edinburgh Fringe and Anne Campbell MP, before moving to Guardian Newspapers as head of new media. He established the paper’s first website in 1994 and was responsible for many online projects including Eurosoccer.com in 1996. Kate has over 25 years’ experience providing and managing the delivery of specialist information and research services (both virtual and library based) to a wide variety of users. She is based in the UK, and has worked across a number of sectors, including the media (BBC and a national newspaper), health care, and voluntary sector (Cancer Research UK, National Children’s Bureau and Macmillan Cancer Support). Currently Kate is Information and Support Programme Lead at Macmillan Cancer Support, where she oversees the charity’s information and support strategy and innovations to support people affected by cancer. In 2012 Kate worked at the National Children’s Bureau (NCB) as Interim Information Manager where she developed and implemented a new strategy for the library. From 2008-2012 Kate was director of patient information at Cancer Research UK, with responsibility for the charity’s information services to people affected by cancer. These included a telephone helpline, website, and online forum. Before joining Cancer Research, Kate was head of health information at NHS Direct, where she managed a variety of teams providing health information via the telephone, websites and digital television. From 1989-2003, Kate worked for the BBC in a variety of information roles, including managing the development of a virtual research intranet site in 2000 and providing research support to journalists and program makers. Kate is the 2014 President of the Special Libraries Association (SLA). She is the first non-North American to lead this international association. SLA has 8,000 members in 75 countries and includes information professionals in the corporate, academic and government information sectors. It promotes and strengthens its members through learning, advocacy and networking initiatives. 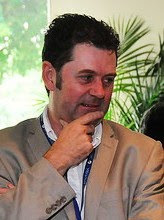 Steve Wheeler is Associate Professor of Learning Technologies at Plymouth University, in South West England. Originally trained as a psychologist, he has spent his entire career working in media, technology and learning, predominantly in nurse education (NHS 1981-1995) and teacher education and training (1976-1981 and 1995-present). He is now in the Faculty of Health, Education and Society. A trained educator, he teaches on a number of undergraduate and post-graduate teacher education programmes. He specialises in research on e-learning and distance education, with particular emphasis on social media and Web 2.0 tools. He is regularly invited to speak about his work and has given keynotes and invited lectures to audiences in over 20 countries across 5 continents. He is currently involved in several research programmes related to e-learning, social media and handheld technologies. Steve is the author of more than 150 scholarly articles and is an active and prolific edublogger. His blog Learning with ‘e’s is a regular online commentary on the social and cultural impact of disruptive technologies, and the application of digital media in education and training. Steve is chair of the Plymouth e-Learning Conference, and between 2008-2011 was also co-editor of the journal Interactive Learning Environments. He serves on the editorial boards of a number of learning technology and education related open access academic journals including Research in Learning Technology (formerly ALT-J), the International Review of Research in Open and Distance Learning and Digital Culture and Education. 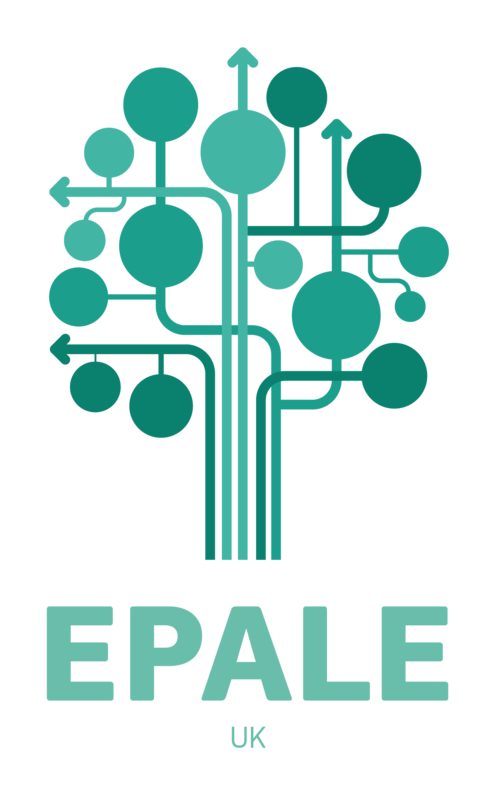 In 2008 Steve was awarded a Fellowship by the European Distance and E-learning Network (EDEN), and in 2011 he was elected to serve as a member of the Steering group of EDEN’s Network of Academics and Professionals (NAP). 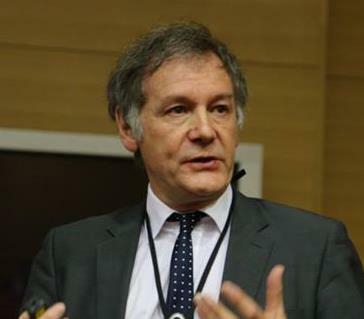 He is also chair of the influential worldwide research group IFIP Technical Committee Working Group 3.6 (distance education) and is author of several books including The Digital Classroom (Routledge: 2008) and Connected Minds, Emerging Cultures (Information Age: 2009). He lives in Plymouth, in the South West of England, with his wife and three children. 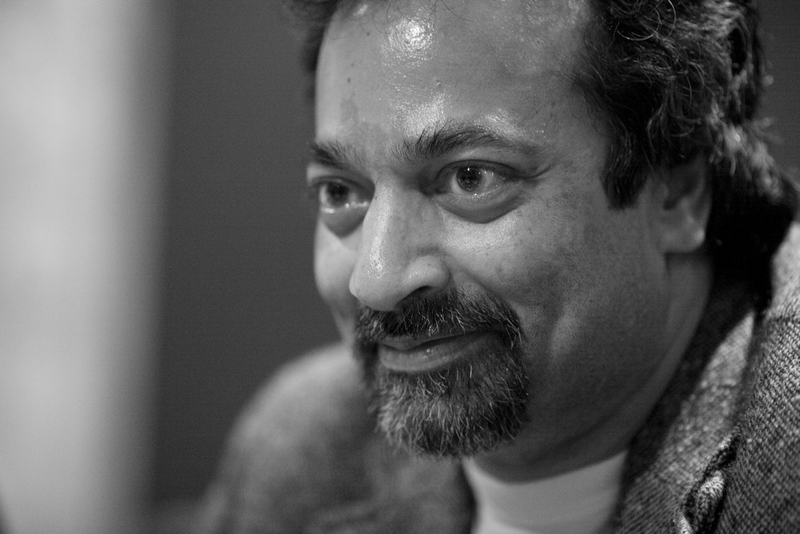 Rangaswami joined salesforce.com in November 2010 as salesforce.com’s first Chief Scientist. He is tasked with the responsibility of contributing to salesforce.com’s product strategy and ensuring that the benefits of cloud computing are being promoted globally. Prior to joining, Rangaswami spent four years at BT in London, most recently as Chief Scientist of the BT Group. He brings over 30 years’ of technology experience to salesforce.com with large multinational companies. This includes holding the role of global chief information officer at investment bank Dresdner Kleinwort Wasserstein, which he joined in 1997. While there, he established his reputation for innovation within the enterprise, culminating in a series of Harvard Business Review case studies. Rangaswami has also held a variety of leadership and technology positions at Burroughs Corp., Data General and Hoskyns Group. Rangaswami is chairman of School of Everything, an educational start-up that teaches a broad range of socially focused topics via the web. He is also a venture partner at Anthemis Group. Rangaswami is a Fellow of the British Computer Society, a Fellow of the Royal Society of the Arts and is a Chartered IT Professional of the British Computer Society. He is also Chair of MetaCert, a San Francisco based company that provides products and services to help protect children from unsuitable content on the web. He writes a popular blog called Confused of Calcutta, and contributed a guest chapter to The Cluetrain Manifesto, a best-selling business book. He holds a Bachelor’s degree in Economics and Statistics from St. Xavier’s College, University of Calcutta. Ms Irmgarda Kasinskaite-Buddeberg is a programme specialist working at United Nations Educational, Scientific and Cultural Organization (UNESCO), Communication and Information Sector, Knowledge Societies Division in Paris, France. She is in charge of the programmes and projects related to the implementation of the UNESCO’s Communication and Information Strategy on Media and Information Literacy, innovative application of Information and Communication Technologies (ICTs) and Persons with Disabilities with a special focus on the implementation of the United Nations Convention on the Rights of Persons with Disabilities, and multilingualism in cyberspace, particularly to the promotion of the normative instrument “UNESCO Recommendation concerning the Promotion and Use of Multilingualism and Universal Access to Cyberspace”. During more than ten years at UNESCO, she also carried out projects on HIV and AIDS issues and was involved in UNESCO’s response within WSIS framework. She contributed to the preparation of several publications, reports and articles on wide range of issues. 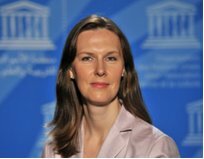 Before joining UNESCO in 2002, she worked as Senior Programme Specialist, Department of Information and Informatics, Ministry of Public Administration Reforms and Local Authorities, Lithuania. She obtained her Doctor’s Degree in Humanitarian Sciences, Communication and Information from Vilnius University (2006), Master’s Degree in Information Management (1999) from Vilnius University and Bachelor of Arts degree (1996) from Vilnius Academy of Arts (Lithuania). As a visiting researcher, she conducted research in Lund University (Sweden, 1999), Helsinki University (2000) and Helsinki Technology University (2001). David Puttnam spent thirty years as an independent producer of award-winning films including The Mission, The Killing Fields, Local Hero, Chariots of Fire, Midnight Express, Bugsy Malone and Memphis Belle. His films have won ten Oscar’s, 25 Bafta’s and the Palme D’Or at Cannes. He retired from film production in 1998 to focus on his work in public policy as it relates to education, the environment, and the ‘creative and communications’ industries. In 1998 he founded the National Teaching Awards, which he chaired until 2008, also serving as the first Chair of the General Teaching Council from 2000 to 2002. From July 2002 to July 2009 he was president of UNICEF UK, playing a key role in promoting UNICEF’s key advocacy and awareness objectives. David is the present Chancellor of the Open University, following ten years as Chancellor of The University of Sunderland. He is President of the Film Distributors’ Association, Chairman of The Sage Gateshead, Deputy Chairman of Channel Four, Deputy Chairman of Profero and a trustee of the Eden Project. He was founding Chair of the National Endowment for Science, Technology and the Arts (NESTA) and for ten years chaired the National Museum of Photography, Film and Television. He has also served as a trustee of the Tate Gallery and the Science Museum. In 2007 he served as Chairman of the Joint Parliamentary Committee on the Draft Climate Change Bill, having performed the same role on the 2002 Communications Bill. He has also been Chairman of two Hansard Society Commission Reports on the relationship between Parliament and the Public; he serves as Senior Non-Executive Director on two public companies. David was awarded a CBE in 1982, a knighthood in 1995 and was appointed to the House of Lords in 1997. In France he was made a Chevalier of the Order of Arts and Letters in 1985, becoming an Officer in 1992, and a Commander in 2006. He has been the recipient of more than 40 honorary degrees from Universities in the UK and overseas. Tara Brabazon is Professor of Communication in the Faculty of Social Science and Humanities at the University of Ontario Institute of Technology (UOIT), and Fellow of the Royal Society for the encouragement of Arts, Manufactures & Commerce (RSA). 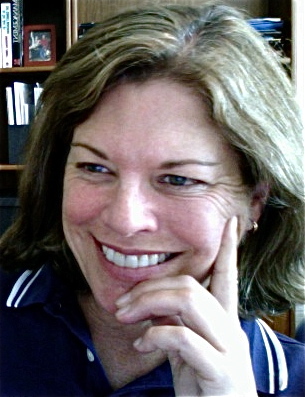 Previously, Tara has held academic positions in the United Kingdom, Australia and Aotearoa/New Zealand. An outstanding teacher, she won six teaching awards, including the Australian National Teaching Award for the Humanities in 1998, along with others in the areas of disability and cultural studies. 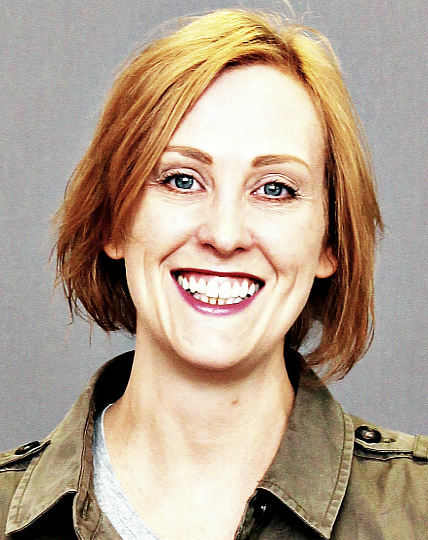 In 2005, Tara won both the Murdoch University Postgraduate Supervisor of the Year and the Teaching Excellence Award. In 2009 and she won the University of Brighton’s Teaching Excellence Award, nominated by both undergraduate and postgraduate students. She was a finalist for the 2005 Australian of the Year and also the 2005 Telstra Businesswoman of the Year in the Community Service category. In 1999 and 2002, she was short-listed for the Western Australian Citizen of the Year. Tara’s best known research is in the areas of online education and media literacies, popular cultural studies, creative industries and city imaging and sonic media. At the moment, Tara is running three clustered research projects. Firstly, she is continuing her research into online education. The current manifestation of this work, following her two books Digital Hemlock and The University of Google, is titled Digital Dieting: moving from information obesity to digital fitness. Her second area of research explores orality, aurality and sonic media, investigating the role of sound-only media in creating political defamiliarization and social change. Tara’s third sphere of research connects her interest in city imaging and social media to explore how geosocial networking, through such applications as FourSquare and Groupon, can become part of a strategy for urban regeneration and social development. Downtown Oshawa is an important case study for this research. Megan Oakleaf is an Assistant Professor in the iSchool at Syracuse University where she teaches “Reference and Information Literacy Services” and “Planning, Marketing, and Assessing Library Services.” Her research interests include library value and impact, outcomes assessment, evidence-based decision making, information literacy instruction, information services, and digital librarianship. She is the author of the Value of Academic Libraries Comprehensive Report and Review and is on the faculty of the ACRL Immersion Program. Megan has presented at numerous conferences, including ALA, ACRL, and AAC&U National Conferences, ARL Library Assessment Conferences, the IUPUI Assessment Institute, the NCSU Undergraduate Assessment Symposium, the Texas A&M Assessment Conference, and EDUCAUSE. 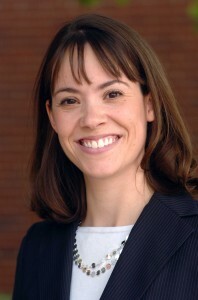 Megan won the 2011 Ilene F. Rockman Publication of the Year Award, was named to the LIRT Top 20 Instruction Articles three times, was included on the 2010 Reference Research Review List, and was awarded “Best Paper” at the 2007 EBLIP Conference. She has published articles in JASIST, College & Research Libraries, Journal of Documentation, Communications in Information Literacy, Library Quarterly, and Portal, among other journals. Previously, Megan was the Librarian for Instruction and Undergraduate Research at North Carolina State University. In this role, she designed, implemented, coordinated, and assessed the library instruction program. She trained fellow librarians in instructional theory and methods; spearheaded development of the LOBO tutorial, a modular information literacy tutorial for first-year students and winner of the ALA/Information Today “Library of the Future” Award; served on the Committee on Undergraduate Education; and provided library instruction to the First Year Writing Program, First Year College, Honors Program, and Department of Communication. Megan completed her dissertation entitled, “Assessing Information Literacy Skills: A Rubric Approach,” at the School of Information and Library Science at the University of North Carolina at Chapel Hill. She earned her MLS from Kent State University and also holds a BA in English and Spanish and a BS in English Education and Spanish Education from Miami University. Prior to a career in librarianship, Megan taught language arts and advanced composition in Ohio public schools, grades 8-12. Science, City University. Research interests largely concern mapping behaviour in virtual spaces, the virtual scholar, and the Google Generation. Together with Al Gore, Stephen Fry and Sir Tim Berners-Lee (amongst others) he (and CIBER) had a starring role in the BBC’s Television Series, The Virtual Revolution. Nikki Heath has been working in libraries since the age of 11. She has a BA (Hons) in Library and Information Studies, and has worked in college, public, school and school library service libraries over the past 27 years. Passionate about encouraging reading for pleasure, Nikki works with a great team of staff at Werneth School in Stockport to get students reading in unusual and different ways. She teaches fortnightly library lessons for all year sevens and eights, combining Information Literacy with the Accelerated Reader programme. Nikki was Awarded the title of School Librarian of the Year in 2008 and is currently an SLA committee member. Co-author of the Mexican Information Literacy Standards for Higher Education, author of the IFLA International Guidelines on Information Literacy for Life-Long Learning now available in seven languages, editor of the just released book Information Literacy: International Perspectives (K.G.Saur), and published other books and papers, including the co-authored (Ralph Catts) Towards Information Literacy Indicators: A Conceptual Framework Paper”, written for and published by UNESCO, 2008. Coordinator of the UNESCO-funded projects of InfoLit/IFLA: a) the web-based International Information Literacy Resources Directory, b) the International Information Literacy State of the Art Report, and also coordinator of the c) IL International Logo Contest, all available at http://www.infolitglobal.info/. He is Director of the University of Veracruz (Universidad Veracruzana) / USBI Library and Coordinator of the UV Virtual Library in Veracruz, México. He has a Master’s Degree in Library Science at Denver University and has a Ph.D. in Information Science from Sheffield University, England.